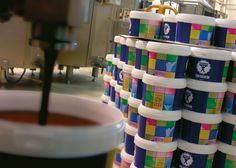 Semi-finished paste product used to prepare cold and warm base mixes for homemade MACADAMIA NUT-flavoured ice-creams and cold desserts. Delicious lightly smoked and salted roast almonds. Cashew nuts are high in magnesium which helps us to maintain healthy bones. They are also known for their ability to maintain a healthy heart and lower blood pressure. The cashew nut is served as a snack or used in recipes. Cashew nuts are served as a snack or used in recipes. Perfect for cooking or just a healthy snack. They are frequently added to meat, fish, salads and vegetable dishes or baked into bread. Ground almonds are suitable for many purpose: they are perfect for baking cakes, confectioneries, pancakes and many more. Flaked Almonds are raw blanched almonds that have been sliced into thick flakes. They are perfect additions to your salads, pastas and stir fries. They are also fantastic decorations for cakes and buns.